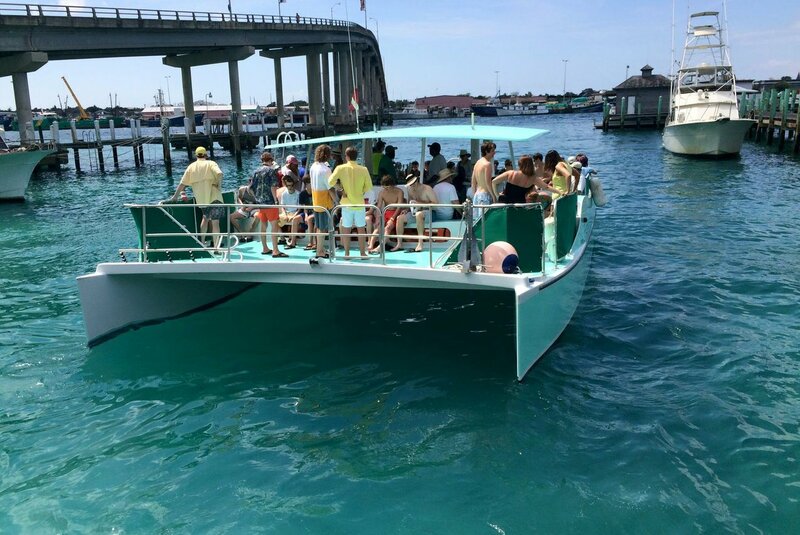 Are you looking for the perfect way to spend a day on the turquoise waters of the Bahamas? Look no further than this awesome powercat. 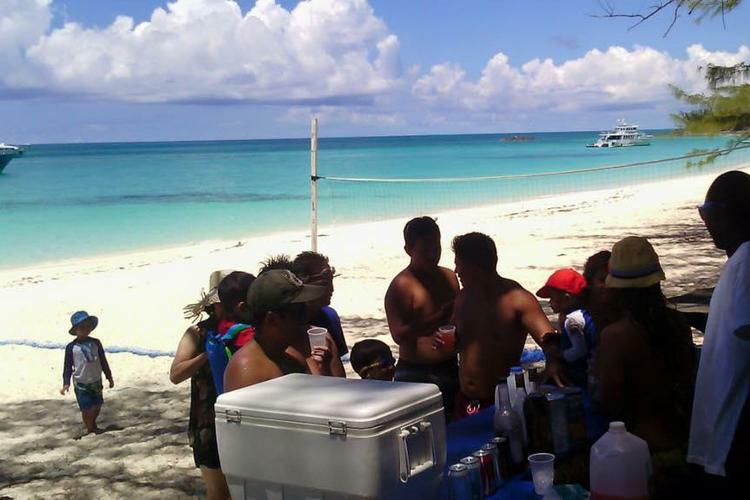 The crew is friendly and will show you an excellent time in the islands. Romantic sunset cruises, crazy bachelor/bachelorette parties, wedding receptions, or lunch and snorkeling on Rose Island are fantastic options with this vessel. 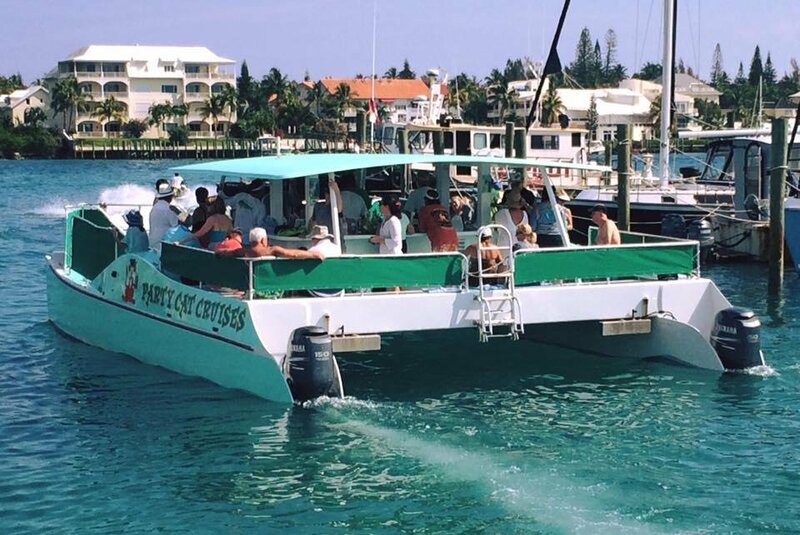 The boat offers a meal option at $12/person, and a cash bar as well, so the good times can keep going all day long! This experience will be a the highlight of your trip to the Bahamas, and possibly the whole year! Party Cat is fantastic! We sailed with Brian and Captain Marvin last week with high school senior spring breakers and moms and had an amazing time! The crew was nice, fun and wanted everyone to have a great time. The boat was perfect for our size group. Stopping at Rose Island for a few hours was relaxing and beautiful. They cooked a delicious Bahamian meal along with refreshing Bahma Mama drinks. Our group had a memorable time and said that was the highlight of their trip. Thank you Brian and Marvin for making this trip so wonderful for our group of high schoolers from Atlanta, Georgia. We will be back! What is the itinerary for the boat rental tour? The boat tour takes place on the island of Rose Island. Snorkeling is done off the beach on a reef. Do you offer lunch for this boat rental? Yes, the boat rental includes a barbecue chicken peas with rice and corn. What are you boat rentals cancellation policy? There’s is a 50% cancellation policy for the boat rental. Because of the busy season , you have a 36 hour cancellation. If we have inclement weather and can’t go out , client will not be charged. 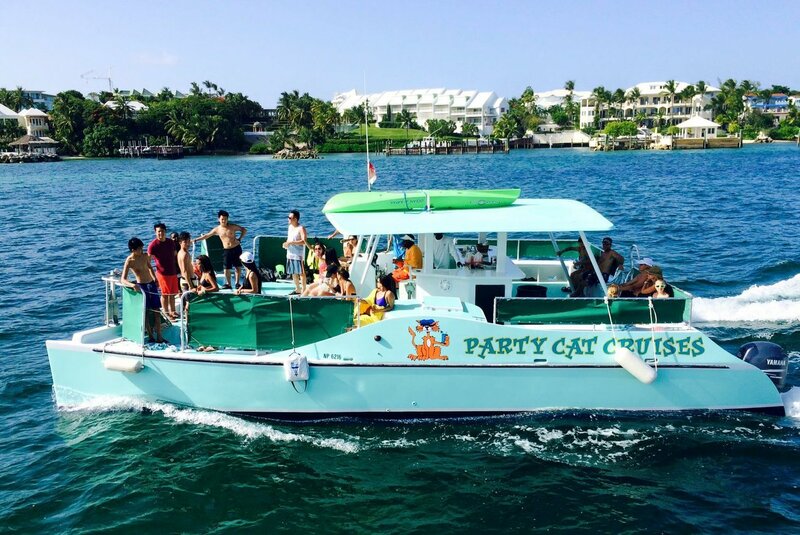 What is the minimum number of persons to rent this boat for only us? 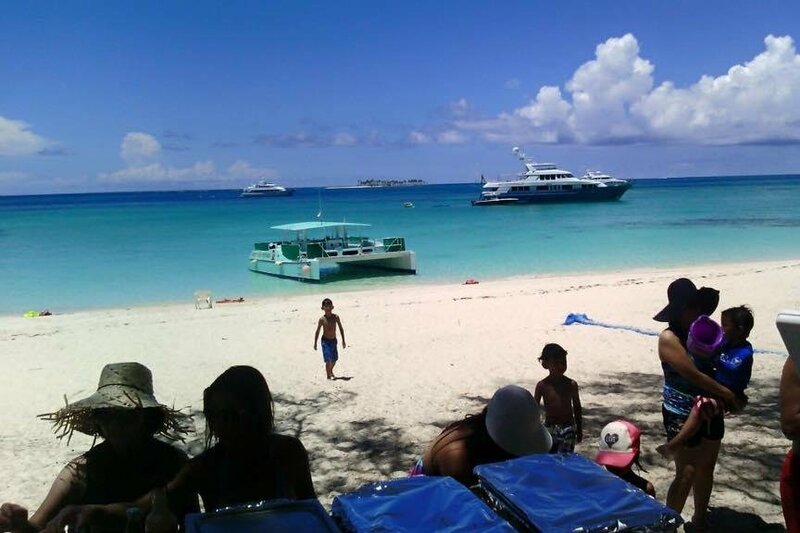 The group should be a minimum of 30 persons to rent the boat for a private charter.